As English rugby digests yet another second-placed finish in the RBS Six Nations, quotes taken from RFU Chief Executive Ian Ritchie – branding England’s failure to win the Six Nations as “unacceptable” – has led to attention once again being drawn to the job that head coach Stuart Lancaster is doing with this current England team. Following the debacle of the 2011 World Cup and the ensuing resignation of Martin Johnson as England coach, English rugby was in a crisis. A culture by which professionals behaved like amateurs off the field, had spread across to affect performances on-the-field. Following the disastrous World Cup where poor performances and inappropriate behaviour from players marred their campaign, the RFU were looking to bring in someone who would not only improve performances, but would put in place a structure by which players would act in a disciplined and professional manner off-the-field. The decision was soon made to give former school teacher Stuart Lancaster the job of leading the national team on a short-term basis over the 2012 Six Nations campaign. No stranger to the England set-up – having worked as England’s head of Elite Player Development – Lancaster instilled a strict level of discipline that allowed England to concentrate on matters on-the-field. The result was a huge turnaround in fortunes from the World Cup, as Lancaster steered England to a respectable second-place finish in the 2012 championship with four wins from five games, including notable victories away to France and Scotland, as well as at home to Ireland. Consequently due to Lancaster’s impressive work the RFU offered him the job of head coach on a permanent basis, with the task of leading England into the 2015 World Cup. Despite losing that year’s summer test series in South Africa 2-0, both England and Lancaster received widespread praise for their gallant performances over the series, which culminated with a well deserved draw in the final test in Port Elizabeth. Returning home, England’s next set of fixtures were the Autumn internationals where they would face home matches against the Southern Hemisphere giants – Australia, South Africa and New Zealand. After narrow defeats to both Australia and South Africa, England then faced the ominous challenge of facing a New Zealand side unbeaten in 20 test matches. Undaunted by this prospect however, England came out and produced one of the greatest performances ever seen in international rugby as they dismantled the reigning world champions, outplaying them in every facet of the game to record a momentous 38-21 victory that smashed New Zealand’s unbeaten record and concluded an incredible first year in charge for coach Lancaster. In just over a year, Lancaster had transformed England from an underperforming team acting inappropriately off-the-field, into an exciting test team with great professionalism and potential. However, despite this promising start, England have failed to win much silverware of any note during Lancaster’s tenure, with the Triple Crown in 2014 being the only notable silverware won during his four-year reign. Ironically, in four Six Nations championships where Lancaster has been in charge, England have finished runners-up on each occasion – three of which (2013, 2014, 2015) they have finished on the same number of points (8) as that year’s winners. This incredible record shows that Lancaster’s side consistently perform well in the championship – having won four out of five matches in each of his four campaigns – but continually manage to fail to get over the line and seal the title. An example being 2013, where England played Wales in their final Six Nations match, having won all four of their previous matches. England arrived in Cardiff as title favourites, and in pursuit of a Grand Slam as well as the Triple Crown. What followed was a complete capitulation in which England not only lost the match, but also the title as they were hammered 30-3 by a rampant Welsh team, who subsequently took the title for the second consecutive year, this time on points difference from England. Ironically, their inability to win the game, along with the embarrassing nature of their defeat, cost many of those England players a chance to tour with the Lions that summer, as many of the Welsh players playing that day overtook their opposite numbers in the pecking order for tour selection. One defeat from five games in both the 2014 and 2015 Six Nations campaigns cost England with Ireland winning the championship from England on points difference on both occasions. Sport can be determined by fine margins, and it is these fine margins that have made it difficult to analyse the success of Stuart Lancaster’s reign as England coach. From one perspective England have consistently performed well as a team under Lancaster and have also proven harder competition for the Southern Hemisphere giants than their other European rivals. Although on the other hand, England have continued to fail to dominate at home in the Six Nations to the extent of rivals such as Wales and Ireland, who have both won two Six Nations titles each in the Lancaster years. Under Lancaster, England have at times been tactically naïve against the likes of Wales (2013) and Ireland (2015), losing games heavily due to not being able to suppress opposition strengths nor effectively execute their own strengths. Defeat to France in the 2014 Six Nations championship was another example as England got off to a terrible start before somehow managing to claw back a lead, which they then managed to gift back to the opposition in the dying minutes. This defeat in particular proved frustrating as it cost England the title in what proved to be England’s most impressive tournament, performance-wise under Lancaster. So why is it that England continue to miss out by the finest of margins? One of the problems may be the constant tinkering to find England’s best team. Due to England’s strength-in-depth in player numbers compared to smaller nations such as Wales and Ireland, Lancaster has found it increasingly difficult to find a settled side, whereby individual talent is coupled with team cohesion to build a winning team. Whereas both Ireland and Wales have managed to build settled sides capable of winning titles, Lancaster has struggled to find his best team available and has subsequently failed to build a winning side. Another problem may come down to the comparison between rival coaches. Both Warren Gatland (Wales) and Joe Schmidt (Ireland) have had experience at winning trophies at club level, with both coaches having won domestic and European titles at their previous respective clubs. This has meant that they have competed against many different types of sides, and managed to have success against sides who play in varying styles, in which tactics become an important determining factor in the result. This has led to both Gatland and Schmidt being able to enjoy success at international test level due to their ability to win tight matches by fine margins due to their tactical knowledge. In contrast while Lancaster is a very intelligent rugby coach, his inexperience of winning major silverware at club level, has resulted in his side occasionally being beaten in tight matches. Despite this Lancaster has matched his more experienced rival coaches tactically at times -with victories over Wales (2015) and Ireland (2014) in particular – but the common nature of England’s defeats has led to many people believing that, while they may be the most potent Northern Hemisphere nation, they remain somewhat tactically naïve compared to others. Having been awarded a new contract to 2020, the RFU continue to believe Lancaster is the right man to take England forward, and given an impressive win ratio of 62%, he probably is. However, with a home World Cup on the horizon, the pressure remains on with England being made second favourites behind world champions New Zealand. While home advantage will obviously play a part, the decision to place England as one of the favourites over the likes of Wales and Ireland owes more to the potential strength-in-depth England possess over their rivals rather than recent history and success. With England also placed in the ‘Group of Death’ with other big nations, Australia and Wales, it is not a formality that England will even make it out of the group. 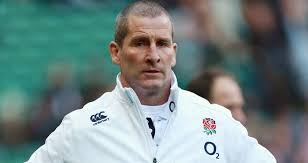 With recent poor performances by England at World Cups in other sports (football, cricket) leading to fans calling for coaches to be sacked, an early exit from a home World Cup is a prospect that Stuart Lancaster potentially cannot afford to contemplate.